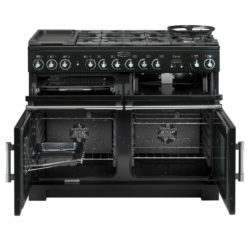 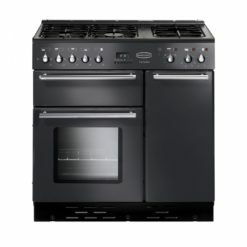 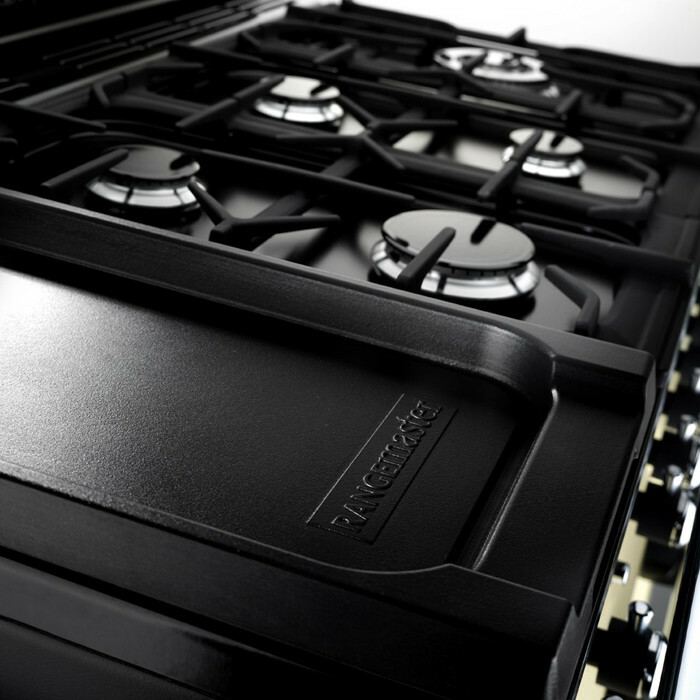 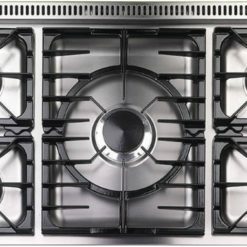 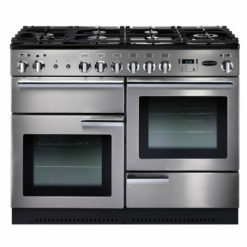 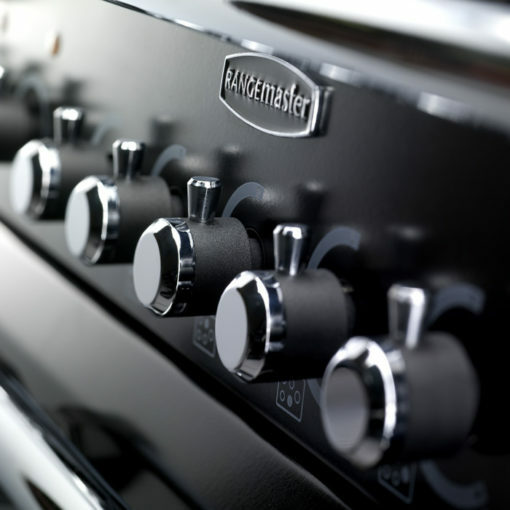 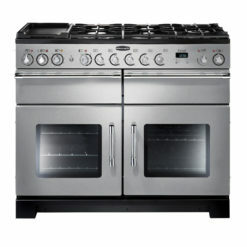 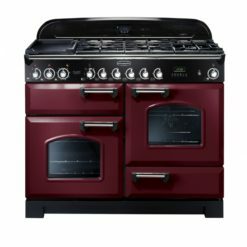 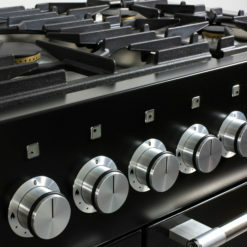 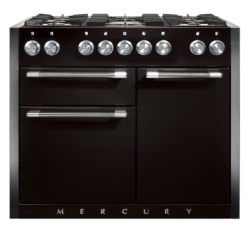 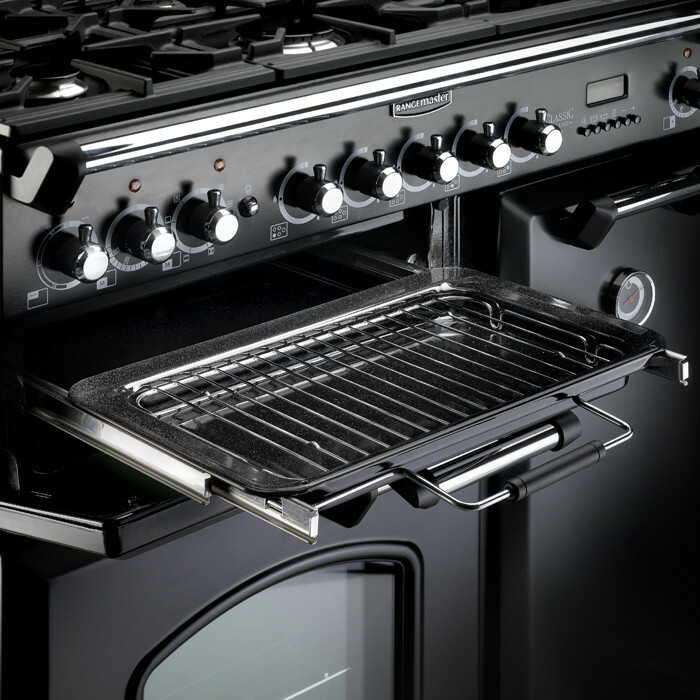 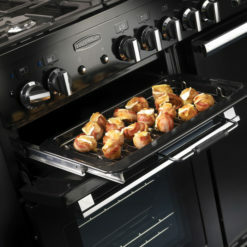 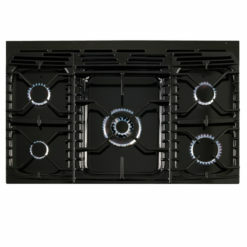 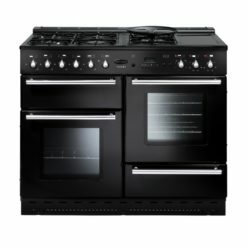 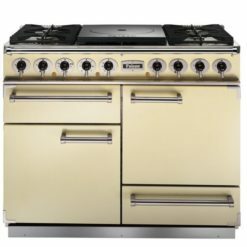 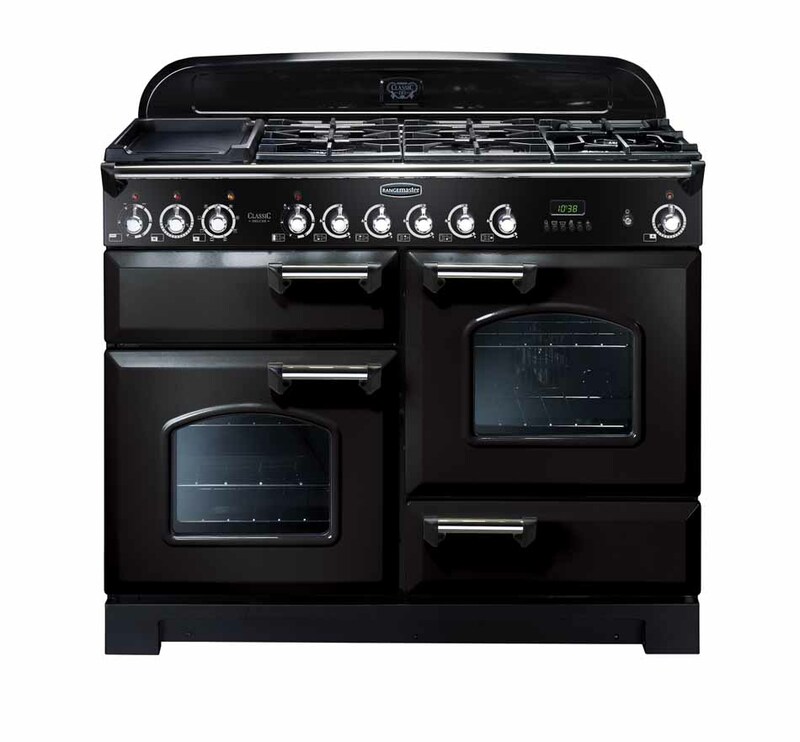 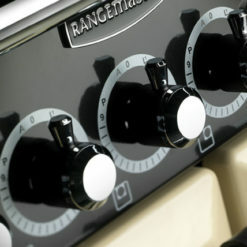 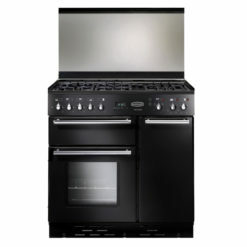 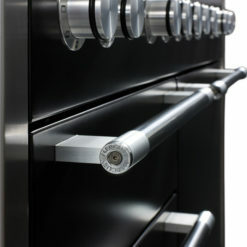 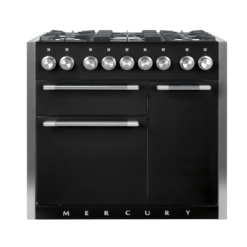 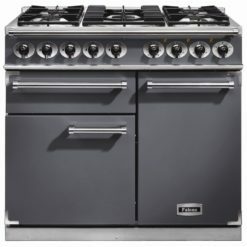 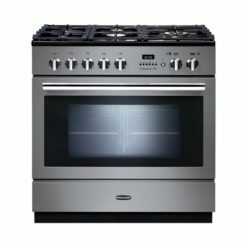 The Rangemaster Classic 110cm Dual Fuel is a traditional Range Cooker perfect for serious cooks with large kitchens. 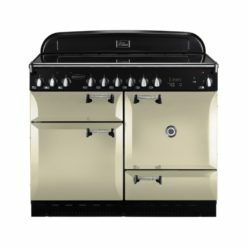 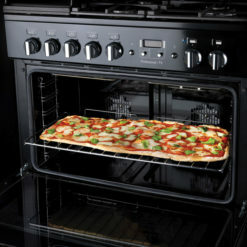 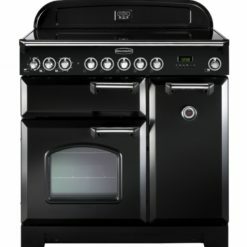 The Rangemaster Classic has two electric ovens, 1 conventional with a capacity of 80 litres and the other a smaller fan oven with a 73 litre capacity. 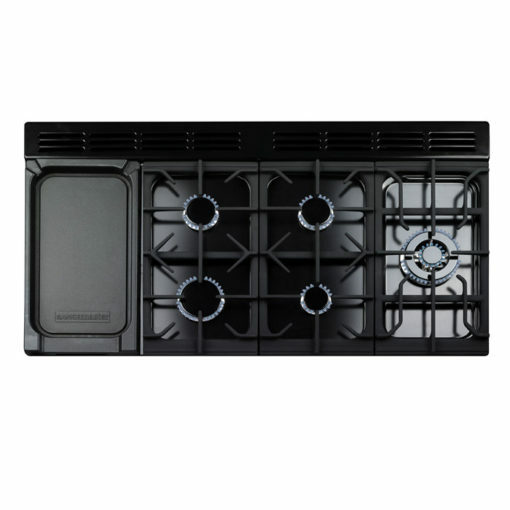 The CLAS110DFFCY/C also includes a separate glide-out grill, non-stick griddle, handy rack, steadfast cast iron pan supports, gas hob with 5 powerful burners and a ceramic warming zone, perfect for keeping dishes warm while you wait. 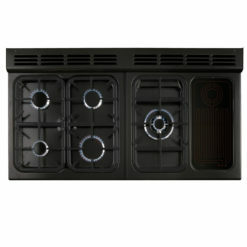 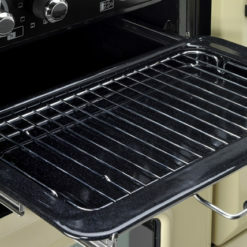 The Classic features a separate storage draw and is available in three different fuel types and a variety of colours.